Unparalleled versatility from this impressive machine. 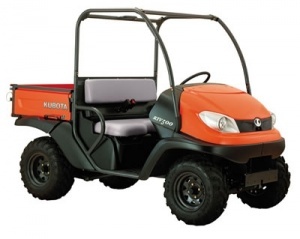 The RTV-X1140 from Kubota allows you to transform it from hauling cargo in the hydraulic dumping bed to carrying an extra row of passengers. 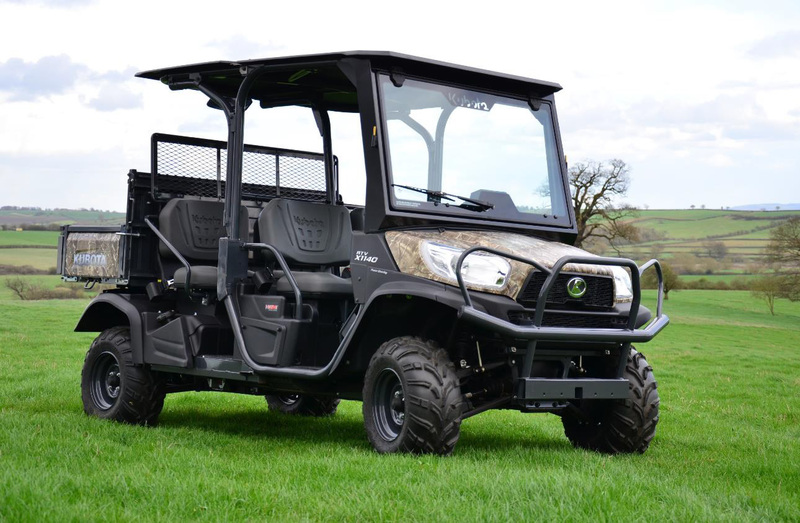 Thanks to Kubota's K-vertible system, the X1140 has the versatile feature of being able to switch from its high-capacity cargo hauling mode to support an extra row of passenger seats. This requires just three simple steps: adjusting the sides of the cargo bed, re-positioning the bed, and moving the protective screen and bench seat. This can of course be easily reversed for more cargo capacity. In the two-seat mode the hydraulic dump bed is able to carry 0.54 m3 of anything you can think of. It is easily emptied, with a simple lever activating the hydrualic lift (which works whether you are in the 2 or 4 person configuration). With the high levels of power required to tame tough terrain, the X1140 benefits from its 24.8 hp 3-cylinder diesel engine. Also boasting Variable Hydraulic Transmission, you can expect a wide torque band, while the large oil cooler boosts performance and durability. A reliable and durable model, a 20 percent larger, clog-resistant radiator positioned up high and to the front (where the air is cooler and cleaner) improves performance and simplifies maintenance. 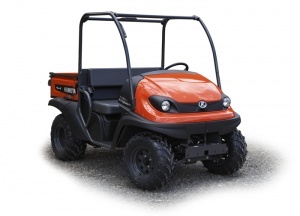 Thanks to high ground clearance, sufficient suspension travel and front and rear independent suspension on all four wheels, the RTV X1140 enjoys a comfortable ride even on tough terrain. A limited-slip front differential and locking rear differential help to reduce wheelspin and provide superb control in muddy conditions. Ideal for working on long inclines, dynamic braking provides extra braking power, and responsive hydrostatic power steering allows excellent control on a variety of terrain. To increase ergonomics and operator comfort, both the steering wheel and the driver's seat are adjustable to suit you. A digital dashboard gives access to all the information you need to work efficiently, while other small touches such as the large glove box, under-seat storage and easily accessible parking brake help make the X1140 a pleasure to work with.